cargo gene delivery and genome engineering systems. The Eurostars funding programme supports international collaborations between R&D-performing small and medium enterprises to develop innovative products, processes and services. The grant will support a collaborative project that aims to adapt the use of Sphere Fluidics’ Cyto-Mine Single Cell Analysis System to generate an automated, benchtop device for precise docking of very large DNA cargoes in genome-edited cell lines. State-of-the-art gene editing technologies are effective at creating small local gene modification, but are severely limited by a lack of tools to dock complex multi-gene circuits into defined genomic sites. The proposed project will substantially increase researchers’ capability to edit the genome. This would significantly impact multiple sectors including gene therapy, cancer immunotherapy, stem cell reprogramming, and drug discovery. 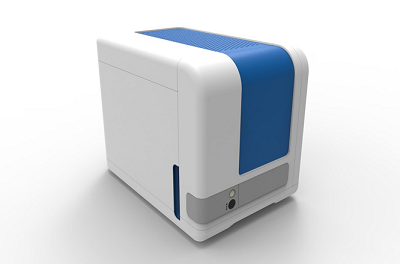 Cyto-Mine is the first integrated device to be able to automatically perform the techniques that are routinely used in the bio-pharmaceutical discovery and development workflow, including single cell analysis, sorting, imaging and dispensing into individual wells of micro-titre plates. The high-throughput instrument uses picodroplet technology and microfluidics to enable processing of up to 10 million heterogeneous mammalian cells in less than half a day. Each cell is encapsulated in a picodroplet containing growth media, which acts as a bioreactor to compartmentalize the cell and let it grow; eventually trapping secreted molecules such as antibodies. The unique workflow enables selective screening of single cells to find rare lead candidates.